These comments will go directly to Flower Shop Network. 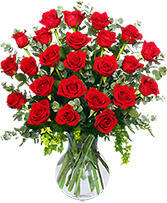 This is NOT a method of direct communication with FLOWERS PLUS for the purposes of ordering or rectifying problems. This article was contributed by guest author, Joel Houston with the help of Micheal Mancinelli, from Flowers Plus in Charlotte NC. Charlotte is a very traditional city, and the wave of contemporary elegance is just starting to catch on. Flowers Plus is on the foreground of this movement, so Flower Shop Network invited them to share their holiday experiences with us. 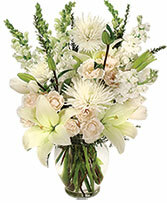 This season brings lots of holiday parties, and flowers certainly play a very special role. At Flowers Plus, we couldn't be more excited. This year, we have had the opportunity to showcase our design work, along with other top florists in Charlotte NC, at Holiday House 2010 which benefits local medical charities. We were selected for the prominent position of the upstairs foyer, which featured a sixteen foot wide French doorway that leads to the main balcony, located on the front of the home. We chose to place the main Christmas tree for the family in this room. The theme for this holiday event was "Dazzling", and we dazzled with a Christmas tree completely decorated with fresh flowers. Everyone was talking about how beautiful and different it was to have the tree decorated with fresh flowers. It was all the rage! This year, one of the hottest Christmas colors we've seen is a vivid, apple green. To bring out this color, we used beautiful Dendrobium orchid sprays, with fragrant 'Casa Blanca' lilies, star-of-Bethlehem, hot-pink heather and blushing, 'Porcelina' roses. We also used these in a large, holiday floral arrangement at the top of the stairs to compliment the tree. The trend at Flowers Plus this year is refined elegance --- bold, monochromatic flower arrangements that are very lush and full in contemporary containers. However, traditional Christmas floral designs with our special touch, are always available as well. 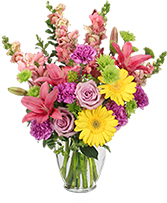 We offer a wide variety of fresh flowers and evergreens. Bold Amaryllis in white, red and crimson, fragrant paper whites, 'Casa Blanca' lilies, bells-of-Ireland, 'Charlotte' roses, star-of-Bethlehem, calla lilies and orchids are just a few of the many varieties we offer here at our Charlotte flower shop to make your holiday season special. When using high-end products, it sets an elegant tone that so many look forward to this time of year, and it really just makes everyone feel special. 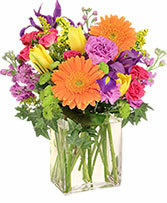 Flowers are a luxury and allow each person to make a luxurious statement about themselves and their individual style. Whether you're in Charlotte, or as far away as Butte, Montana, elegant floral arrangements make the perfect accompaniment to your holiday decor. Happy Holiday's to everyone from the Staff at Flowers Plus. If you're a florist with a great story or neat idea you'd like to share, contact us at social@flowershopnetwork.com with your ideas, to find out how to become a guest writer for the Bloomin' Blog.